To listen to the audio files, please log in. MOMI has ‘an autobiographical sketch of his career in radio, the newsreels and television,' written in 1987 and running to 5 pages. The first commentator credits are for ‘B. Sutton,' but this seems to be a mistake. Reg Sutton joined the BBC in 1936 as a sound engineer, working on transmitters, studios, and outside broadcasts in Newcastle and London. In 1946 he was recruited by Movietone as a sound engineer, employed to replace Martin Gray [qv] and working with the cameraman Alec Tozer [qv]. Sutton’s first assignment was for ''BRITAIN CAN WEAR IT’ MIDNIGHT DISPLAY’ in British Movietone News No.905 of October 1946. In October 1947 he acted as sound engineer for Norman Fisher [qv], filming ‘PRINCESS ELIZABETH LAUNCHES NEW CUNARDER’ for British Movietone News No.961. Sutton also had minor roles in several Movietone stories. In January 1948 he appeared dressed as a Chinaman in ‘1948 WELCOMED - CHELSEA ARTS BALL’ in British Movietone News No.970, and in March 1948 he appeared again in ‘EASTER 1948 - THE NO-BASIC HOLIDAY’ in No.982A. He was shown asleep on the grass in ‘ART IN THE PARK’ in No.989 of May 1948, and dressed as a child in ‘XMAS TIME IS CIRCUS TIME’ in No.1020 of December 1948. In July 1948 Sutton covered the Olympic Games in London with the cameraman Alec Tozer [qv], filming under a rota agreement with the other newsreels. He appeared again, looking through binoculars at a statue in ‘GODIVA UNVEILED, BUT RELUCTANTLY’ in No.1064a of October 1949, and in April 1951 he was shown as an impoverished drinker in ‘THE BUDGET’ in No.1140A. In January 1952 Sutton spent six days covering the sinking of the ‘Flying Enterprise.' Norman Fisher [qv] recalled that ‘Reg Sutton and myself worked together on this one on behalf of Movietone’: ‘Reg Sutton and I were set up with a sound unit on the quayside at Falmouth for interviews with Captain Carlson and his First Officer, Kenneth Dancy, who were brought ashore within a few hours of the sinking.' Their material appeared in ‘THE END OF THE ‘FLYING ENTERPRISE’' in British Movietone News No.1180. Sutton was the sound engineer who went with Movietone cameraman Paul Wyand [qv] on the Royal Tour of the Commonwealth, the assignment lasting from October 1953 to May 1954. Wyand noted of Sutton that ‘stocky and in his thirties, he had come to Movietone from the B.B.C., and in my opinion is the best sound engineer for outside recordings.' Their material was released as ‘The Flight of the White Heron.' By the time that Sutton completed this assignment, Alec Tozer [qv], with whom he regularly worked, had left Movietone, and Sutton teamed up with cameraman Norman Fisher [qv]. They worked together on ‘THE OPEN ROAD’ in No.1328A of November 1954, and also covered ‘THE ELECTION’ for No.1356 in May 1955. However, Sutton also worked regularly with Paul Wyand - who recalled Sutton as ‘a notorious leg-puller.' Sutton left Movietone in June 1960 to become chief of sound for the Samuelson Film Service Limited. In 1970 Sutton became general manager of the Samuelson Group, but he seems to have found time to do some commentaries for his former company. Sutton was first credited as commentator for British Movietone News No.2232A of March 1972, and later that month shared credits with Leslie Mitchell for No.2234A. In June 1972 he returned to commentate for No.2246A. 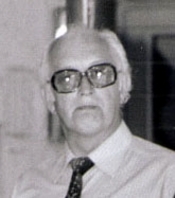 Sutton retired in 1986. L. Murray and R. Sutton, ‘A newsreel round-up on filming the ‘Flying Enterprise’,' Cine-Technician, March-April 1952, pp.26-28: P. Wyand and R. Sutton, ‘The Flight Of The White Heron,' Cine-Technician, June 1954, pp.117, 121: P. Wyand ‘Useless if Delayed’ (London, 1959), pp.225-8: J. Ballantyne (ed) ‘Researcher’s Guide to British Newsreels: Vol.II’ (1988), p.35 - information from David Watson of MOMI: J. Ballantyne (ed) ‘Researcher’s Guide to British Newsreels: Vol.III’ (1993), pp.27-8. Here is an example of one of Reg Sutton’s dopesheets. This record has been viewed 2385 times.